This combo is a dream for those who are short in space. It’s easy to use, easy to move and does a good performance. It’s Energy Star rated and quiet, which is a big plus. 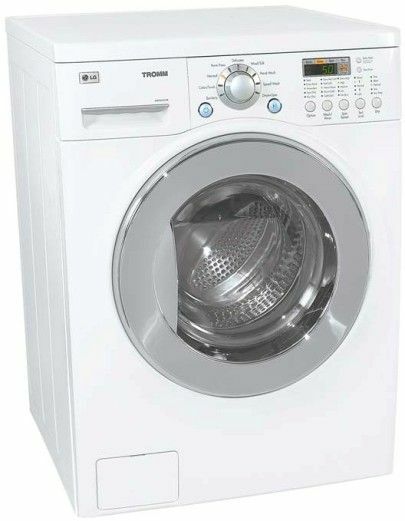 It’s also water and energy efficient and very flexible, which means you can wash and dry your clothes at the same time. However, if you’re on a budget, you won’t like the price. For the same price, you can buy better unit that doesn’t take too long to wash and dry the clothes. Capacity (cu.ft. ): 2.44 cu. ft.
SenseClean™ System that automatically adjusts the water level and wash time for optimal care of the clothes. Sensor Dry System that measures moisture and automatically adjusts the drying time and temperature for optimal care of the clothes. 9 wash programs and 5 rinse programs – check the details below. 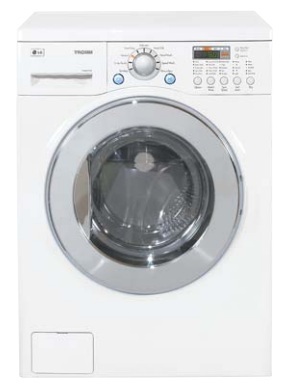 Delay wash up to 19 hours that offers washing convenience. Direct Drive motor for ultimate reliability and durability. Reliability and flexibility of wash to dry, dry only and wash only. LoDecibel™ Quiet Operation that reduces the noise during working. Warranty: 1 year parts and labor; 2 years control board, 7 years motor, lifetime on the drum. Wash Programs: Sanitary, Cotton/Towels, Normal, Permanent Press, Delicates, Wool/Silk, Hand Wash, Speed Wash, Drain & Spin. Dry Times: 150 min, 120 min, 90 min, 60 min, 30 min. Wash/Rinse Temps: Cold/Cold, Warm/Cold, Warm/Warm, Hot/Cold, Extra Hot/Cold. Options: Extra Rinse, Rinse & Spin, Extra Wash, Soak, Dry Only, Spin Only, Delay Wash up to 19 hours. Tray Dispenser: Main wash, bleach, softener. Materials: NeveRust™ stainless steel drum, painted steel cabinet, plastic control panel, premium plastic top plate, transparent door glass, chrome door rim. Its design is great, especially for people who have small laundry rooms. 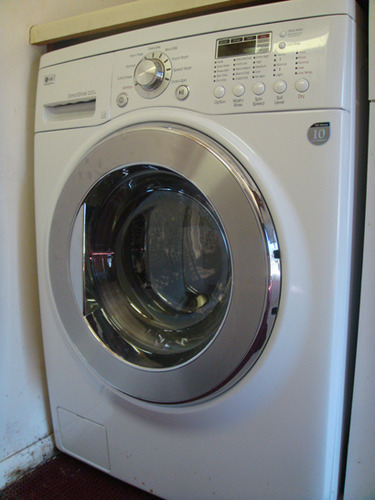 It has a cycle that cleans clothes with hot water, which means your whites will be gleaming. The timer is also a great option. Has a child safety lock. Highly water and energy efficient. It takes about 4-5 hours to do your laundry, depending on the washing/drying options you choose. The spin cycle adds a lot of extra time. You must try to balance the load because otherwise, the machine will restart. The rinse and drying cycles are pretty loud. It may leave clothes damp and wrinkled. Conclusion: I would recommend this combo to those who want to save space and energy. However, keep in mind that the drying time is quite long and the unit is not cheap at all. If the design is an important feature to you, then yes, it’s elegant combo, but today’s market offers way better designed units.